We are very fortunate to welcome Jessica Monahan to UUC’s staff in the role of Office Manager. In her administrative role, Jessica will be responsible for the operation of the temporary church office, and eventually the office spaces in the new building. She will be the welcoming voice and face of the business office, and will manage our technology systems such as phones and computers as well as the church calendar and facility management software. She’ll be our contact for arranging meetings and gatherings at the office and Meadowbrook, and can help with setting up arrangements with other facilities we are renting during our year off-site. Record keeping, vendor and contract management, supplies and inventories…there’s a lot to do in a big, busy church, and we’re looking forward to Jessica’s help in many areas. Born and raised in the San Francisco Bay Area, Jessica explored her interests in medieval church ethics at San Francisco State University before jetting off to seminary school in the great state of Maine. She enjoyed eight fabulous New England winters before returning to the best coast. 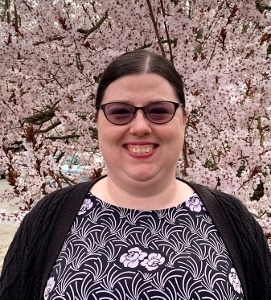 She previously worked as a program specialist for Puget Sound Educational Service District and as a Senior Administrative Assistant for Seattle Public Schools before joining University Unitarian church as Office Manager. She lives in West Seattle where she tries to keep up with her mother’s walker zooming along Alki Beach. Volunteers will see Jessica in the office Monday through Thursday, and members will get a chance to interact with her on Sundays, when she’ll work at Meadowbrook from 9:00 a.m. to 2:00 p.m. in support of our programming and church events at that facility. Feel free to find her at the Connections table and introduce yourself, and welcome her to her new role at UUC!